Disclaimer: This is not a paid review, but I’m writing this just to thank the product creator for helping me recover files that we had collected since 5 years and the hard drive got corrupted. My professor’s hard drive got corrupted (literally, with no computer recognizing it and leaving us with an option to format it) but still it showed some information in my Macbook, that there are files present which can not be opened and the finder can’t open the hard drive folder. This couldn’t be an effect of the Windows virus, as those hard drives which were sometimes hit by the virus in windows laptops, could be working fine with Mac OS. But here, it worked nowhere. So, the only option left was to check if there was an option to recover the files from the hard drive. There are several softwares and tools available that help recover the files from hard drive, but the free ones don’t give you options to recover more than a few MB of data. That’s useless. Hard drives have data in GBs and that is what they are used for. So, finally after searching a lot I could get one fine tool which promised of doing something helpful. It was EASEUS Data Recovery Software, priced a little high at $69.95 but EASEUS being a trustworthy company, I knew the product would work well here. And after all, the price is not for using the software once. It can be used on the computer for always, and you can recover any number of hard drives and storage devices. Recovers various file formats of office document, photo, image, video, music, email, etc. Devices from where the files are recovered – hard drive, USB drive, memory card, memory stick, camera card, Zip, floppy disk or other storage media. Format Recovery Solution – This is a complete recovery solution where the files can be recovered after the formatting of drive is done. Deleted Recovery Solution – “Deleted File Recovery” module is designed for recovering deleted files from the hard drives and storage solutions. 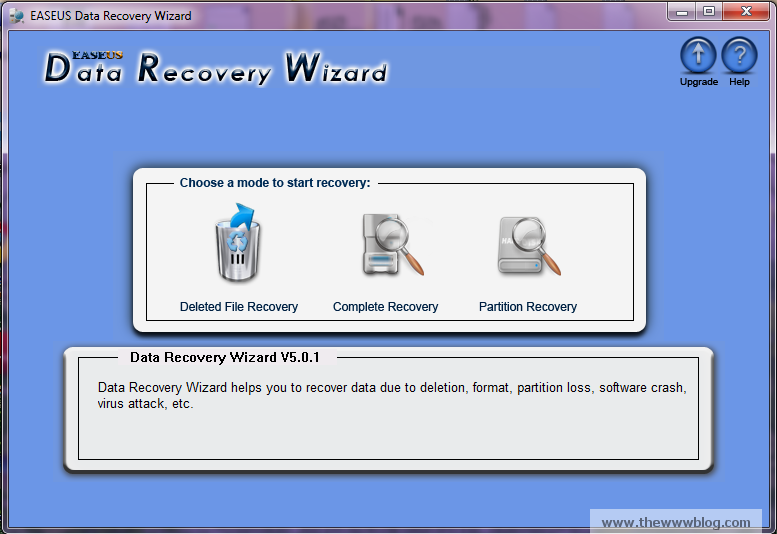 Partition Recovery Solution – The Partition Recovery module is for recovering data from deleted, lost or damaged partition. Other Data Loss Solution – This is one of the frequently used one, where the lost data can be recovered due to software crash, or any virus attacks on the Windows computers or any other problems. When does the tool come to use? The hard drives which have been formatted recently, either intentionally or accidentally. This is by far one of the best data recovery solutions I’ve found for the Windows computers. Wish there was something that did the similar job on my mac too. Everything I needed to do was a few clicks and the data recovery happened pretty well, although yes, it took a lot of time, but what I wanted was the file recovery and that happened. Priced at $69.95, it could be called as a little expensive tool but the license runs for life time so you can use it multiple times to recover files from the hard drives, USB drives, storage devices and even from your file system. I successfully recovered the files from my hard drive, but just to try I tried to delete a couple files from the computer even from the recycle bin, and I could recover that too but that took a few hours time. What is important here, is the recovery of the file, no matter how much time it takes. And that is done perfectly by the Data Recovery Wizard. I would give a 3.5/5 rating for the tool. Check out the software homepage and buy the product from here. Do you publish ads of other services on your blog? I’m looking for good resources to buy ads for my sites. Please contact me by email. 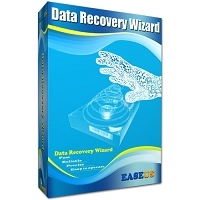 ;D, yes,eauese data recovery wizard is such a good program for recovering data, caused by accidental deletion, formatted partition, lost partition, virus, or other things.